The answer may seem obvious: It's the gooey substance that often sweetens a mug of hot tea. It's what Jews dip apple slices into to celebrate the new year. It's a remedy for coughs, an ingredient in some chapsticks, and a path to shinier hair (some believe). But it turns out that what counts as honey—and what doesn't—is a bit of a sticky mess. Does honey have to contain some pollen? Is it still honey if it's cut with corn syrup? How many microns get through the filters used to process it? The honey lobby—yes, there's a honey lobby, and it represents the nation's non-ultrafiltered honey producers—has long fought for a definition it likes. In 2011, the Food and Drug Administration denied a petition for a standard of identity for honey. Now, the lobby has turned to the Agriculture Department for help. The main thing they say they want is some clarity: The FDA allows anything that's “a thick, sweet, syrupy substance that bees make as food from the nectar of flowers and store in honeycombs” to be labeled honey. Smuckers, for example, lists the sole ingredient of its honey product as "Grade A Honey," but what exactly does that mean? The USDA currently has a voluntary grading system based on moisture content, defects, flavor, and clarity—but this system is not enforced nor does it get to the heart of the issue: pollen content. The honey lobby, to put it mildly, does not approve of honey sans pollen. They've called that syrup—the product so common on most grocery-store shelves—"food fraud," believing that true honey is a product of a particular place, unique to the flowers surrounding a given hive. But those who produce that common "filtered honey" say that it's what consumers want. To make matters more complicated, China currently leads the way in global honey exports, and Chinese honey has been accused of being cut with fructose syrup. This, too, is part of what the honey lobby wants to get at—that a sweetener that's the result of feeding corn syrup to bees (or adding sugar or syrup to honey directly) shouldn't be considered real honey. 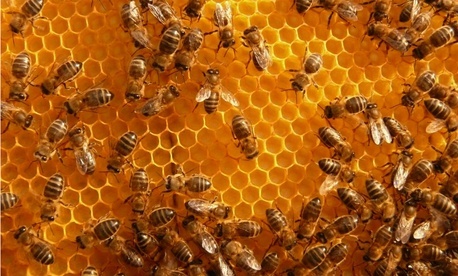 To sort out this situation, the USDA has issued a call for comments to describe "how a Federal standard of identity for honey would be in the interest of consumers, the honey industry, and U.S. agriculture." Those comments are publicly available on Regulations.gov, and so far 70 comments have been received from honey makers around the country. The vast majority—more than 95 percent—of the comments filed support the need for the USDA to set a standard, but there's also concern that the regulations will be too strict, making honey production difficult for small beekeepers. T. Pollard writes: "This additional regulatory efforts [sic] would only benefit the big honey operations, as those proprietors are the ones pushing for additional regulations by adding undue expense on the smaller honey operations." As if all that weren't trouble enough for the nation's honey producers, there's also been the pesky trouble of "honey laundering," which refers to imported honey arriving with fake paperwork or smuggled in avoiding duties. As one response to the USDA's call bemoaned: "Many of us beekeepers, are outraged at the dumping of foreign honey. And honey that is cut with corn syrup." Last year, U.S. Customs had one of the biggest honey busts ever. “Project Honeygate” caught two U.S. honey plants attempting to skirt $180 million in anti-dumping duties. Charles Schumer called it a "buzzkill" for honey smugglers and called for a zero-tolerance policy for honey laundering.